To build a really nice and clean fpv miniquad, a power distribution board really helps in cleaning up the wiring. Back in the early days of building miniquads, wiring could get quite messy. You would have to use a really funky looking PDB, or build a wiring harness. Essentially, the process of wiring up ESCs and the battery is fairly simple – you just need to connect all the negative leads together and all the positive leads together, and you’re set. That meant, though, that you only had access to raw lipo voltage, and you would need step down regulators like the Polulu for powering your flight controller and FPV gear. Recent developments in the industry have made PDBs quite standard(if not necessary) for many builds and the way things are going, PDBs themselves may become obsolete soon! 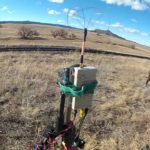 With that said, let’s go through four different kinds of PDBs you may want to use. 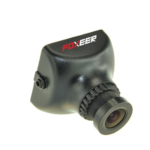 The first option you have is using a regular PDB that fits the 30.5 x 30.5mm standard sized mounting holes. You’d mount the PDB at the bottom of your stack, and mount the flight controller on top of that with another set of standoffs. Most PDBs have pads for your camera and VTx video wires, so you can run the wires there directly and have a really neat setup. These PDBs are ideal for builds that use KISS flight controllers or Omnibus/Seriously Pro/similar FCs that don’t have wiring pads built in. Matek makes really nice PDBs that fit the bill on all the points I listed above. The build quality is good and I still have working PDBs pulled from long-dead quads! These PDBs were the rage before the Betaflight OSD came out, but they’re still around and useful for KISS, CC3D, or Raceflight quadcopters. These are PDBs that are identical in terms of features as the first kind, except they will have an OSD chip built in and a current sensor that will read current draw and total current drawn. It’ll display all this data on the OSD – you just have to wire your video in and out wires onto the proper pads. It will also provide power to your entire system and have 5V and 12V regulators, too. I used to have a Matek PDB/OSD on one of my quadcopters but it often stopped working(the OSD, not the PDB) and eventually just became an expensive PDB. For small, tight builds, you can use a 4-in-1 ESC which will double as your PDB, too. Since the true purpose of the PDB is to actually route power from the battery to the ESCs, if you’ve got a 4-in-1 ESC, the battery leads just hook up directly to it and that’s all you need. You just connect the ESC signal wires to the flight controller and you’re done. Most newer 4-in-1 ESCs also have 12V and 5V regulators so you can easily power your flight controller and FPV gear, too. Some racing frames like the Falcon Multirotors Rasvelg are designed specifically around 4-in-1 ESCs, since the arms are very thin and not wide enough to hold an ESC. Cicada and RacerStar 4-in-1 ESCs have been known to work very well. 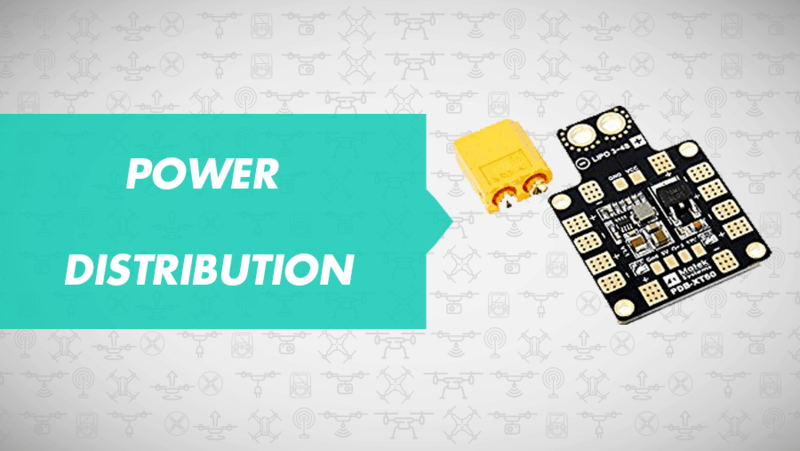 The final option you have is using a flight controller PDB combo. The most obvious choice here is the Betaflight F3 flight controller, which is an awesome flight controller by itself(read review here) as well as a PDB that can take a lot of current. My only gripe with it is that it’s not the easiest to wire up. 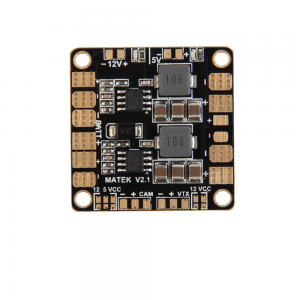 Another option is DYS PDB/FC which is quite similar to the Betaflight F3, except it’s just a little bit longer to accommodate the solder pads. The way that the Betaflight F3 developers managed to fit everything in such a small package is amazing! The obvious advantage to using this kind of FC is the amount of space you will save! This is ideal for short stacks such as the Armattan Chameleon or the Armattan SCX-200. 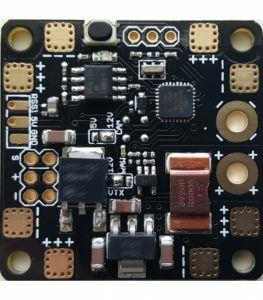 These kinds of boards will also work wonderfully in micro builds – the Piko BLX is a flight controller/PDB combo which fits a 20x20mm mounting hole pattern, which has become standard on 2″ and less propeller size builds.